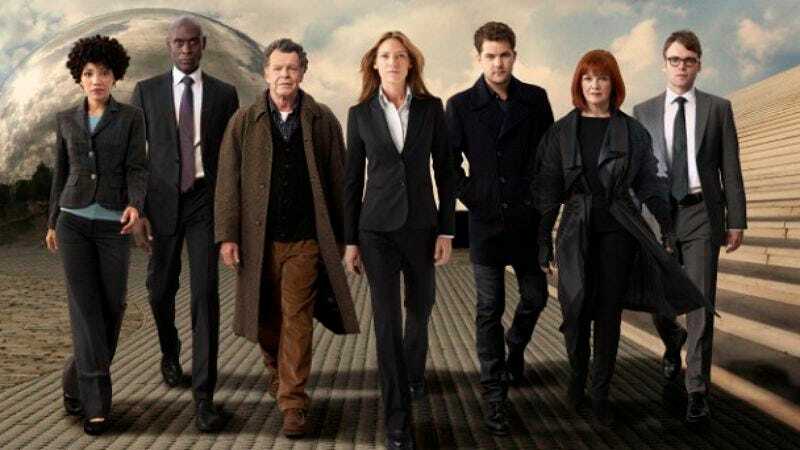 Fox has renewed perennially low-rated science fiction series Fringe for a 13-episode fifth and final season, an order that will, conveniently, bring the series to exactly 100 episodes. That should be a boon to the series’ studio, Warner Brothers, as it attempts to sell the show into syndication or a cable rerun deal. The renewal had been expected by most TV industry watchers, and it’s also heavily suspected that Warners cut Fox a substantial deal on the show—which Fox president Kevin Reilly said the network loses money on at January’s Television Critics Association press tour—in order to keep it on the air. The 13 episodes will apparently wrap up the series’ ongoing storyline about the conflict between two universes, a storyline that has won the series much fan and critical adoration but has most likely kept it from mass audience appeal. “Fringe is a remarkably creative series that has set the bar as one of television’s most imaginative dramas. Bringing it back for a final 13 allows us to provide the climactic conclusion that its passionate and loyal fans deserve. The amazing work the producers, writers and the incredibly talented cast and crew have delivered the last four seasons has literally been out of this world. Although the end is bittersweet, it’s going to be a very exciting final chapter,” said Reilly in a statement released by the network. Though a handful of the show’s most recent episodes have dipped beneath the 3 million viewer mark, the series makes substantial gains in viewership when DVR viewing is factored in. The next several weeks should be filled with unexpected renewals and cancellations in advance of network upfronts, which begin May 14.